I find it interesting when people complain about how the government spends money. Then when it is proposed that money be taken away from a government program that they receive benefit from, they are all up in arms about the evilness of the politicians. Or when people complain about the special tax breaks and credits that other people get. Then that same person tries to find a tax break or credit for themselves, because, “by golly, I deserve it”. This is the premise; I deserve it because I am me, and they don’t because they are them. That is what people say no matter their gender, age, economic standing or political persuasion. This premise is evident in all levels of life. Be it neighborhood, city, county, state or national. 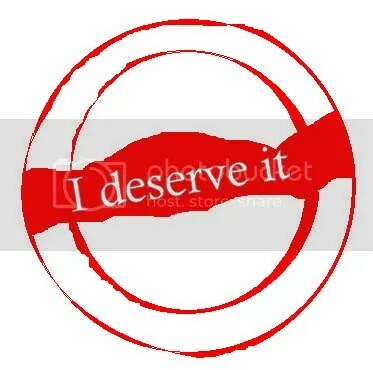 People say, “Well I deserve it. I deserve the benefit. I have the right to receive it. I live in the United States, so therefore I am entitled”. This is bogus. You only deserve what you earn. Only in the last 100 years, or so, have we developed this attitude. Before that it was taught and demonstrated that you put in a hard day’s work, you do what you are supposed to do and you will receive the pay that was promised. This attitude has been lost by some. And it needs to be rebirthed. Henry Ford stated, “The man who will use his skill and constructive imagination to see how much he can give for a dollar, instead of how little he can give for a dollar, is bound to succeed”. The people of the United States are becoming dependent on their government to provide things that they can and should provide for themselves. Our founding fathers wrote a magnificent document in 1776, The Declaration of Independence. The purpose was to break ourselves away from a tyrannical king and to make this country free to live, prosper and to only be dependent on ourselves and our neighbors. The fact is that there was a huge disagreement in the late 1780’s when the Constitution was written about the level of power that the federal government should have. At that time is was determined that the only duties of the federal government was to protect us from enemies of our country, ensure a just and equitable commerce between states and to provide for the public welfare. Obviously there are disagreements as to the definition of each of those duties of the federal government. I am going to focus on the third duty, to provide for the public welfare. The operative word is public. It does not say private. This is because the founders were stressing the need for people to be self-reliant. They were also working under the idea that a person will make choices and they would then have to deal with the consequences of those choices. This is a very basic principle. But as I stated earlier, people are fine with others dealing with the consequences of their choices. It is much easier to blame someone else for the problem. Public welfare means those things that a government should provide that a charity or private individual or company cannot provide. These are things like, air traffic control, parks, historic monuments, roadways and K-12 schools. Public welfare does not mean utilities, recreation centers, sports complexes, animal shelters, museums or art shows. There can be a healthy debate about things liked busses and local trains/subways because they are a substitute for the roadways. It is estimated that in 2012 the government granted $700 billion to non-profits to provide services to the public. I say that this is wrong. The government is taking my money and giving it to organization that the bureaucrats deem are worthy. I feel that it would be better spent if the money was not taken from the citizens and they would decide whom to give the money. The argument is that the people will not provide the funds to the non-profits. If that is the case then the people do not want the services provided. There are government agencies and non-profits that are set up to solve a problem that never gets solved because it is job security and a large revenue stream. We, as Americans, are a very giving people. When we see a need: we provide the money and labor, solve the problem and then move on to the next issue. It is a very basic part of human nature. It is the biblical action of tithing. If each of us were to give 10% of our earnings to the charity of our choice the problems would be well on their way to being handled. People would have personal satisfaction and the charities would be better held accountable. The charities would have a core value of keeping the giving public content. With the government involved they only have to keep a handful of bureaucrats happy. There should never be person or group that becomes wealthy from receiving grants and subsidies from the government to provide services. This is another example of redistribution of wealth. So what is the solution? It all starts at the local level. We need to elect local officials that will live by the three Constitutional duties: protect us, ensure equal and just commerce and provide for the public welfare. We, as a community, need to organize new and support current entities that service the people in need. As this transformation takes hold on the local level it will spread to the county, state and federal level. This in turn will mean that the government will need to take less and less money from the citizens. Then the people will have more money to provide to charities, provide jobs and spend on private businesses. Think of how we, as people, and the country will be better off. This action will not be easy. Thomas Fuller wisely said, “All things are difficult before they are easy”. And it will not happen over night. It will take persistence, hard work, sacrifice and a strong leader with a vision. This will need to be a leader with integrity. You will know this person by the guideline that Denis Waitley gave us, “A life lived with integrity- even if it lacks the trappings of fame and fortune is a shining star in whose light others may follow in the years to come”. Is there a person that you know who may fit this description, be it local state or federal? Is that person you? If you cannot find the leader, then go out and do it yourself. There are people that will follow you if the cause is good, just and honorable. This entry was posted in activities, competition, education, Family, government, Home, honor, law, love, opinions, People, Politics, Safety, Taxes, truth by pinalcountypeople. Bookmark the permalink.